The list of advantages in having motorised blinds installed in your house or office is extensive. Their unmatched style, convenience and protection make these window coverings a brilliant choice for any modern Australian home. 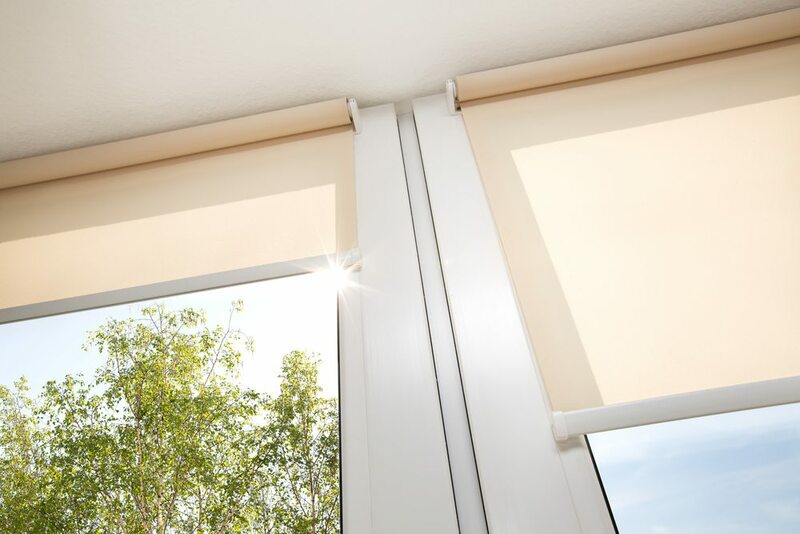 In this article, we’re listing our favourite, beneficial qualities of motorised blinds. There have been incredible, intuitive advancements in automated homes recently, from self-operating vacuum cleaners to smart temperature control. Why not extend that to your window coverings? In homes with high ceilings, it can be difficult to reach your blinds without the assistance of a step ladder, now you can automate the repetitive task of opening and closing a blind with just one push of a button. You can even schedule the times you wish your blinds to open to help you wake up naturally in the morning and block out the world before bed. Sun exposure, especially in Brisbane and the Gold Coast, can affect our electrical bills when we rely on air conditioning. In the colder months, heat can escape through our windows and further our need for expensive heaters. By tapping into solar power stores, completely insulating our homes and installing motorised blinds, we can access traditional cooling and heating methods to balance our energy consumption and monitor our carbon footprint. Equip your motorised blinds with a sensor to further their energy efficiency. If you have a bathroom or bedroom with a close view of your neighbours or the street, contemplate installing motorised blinds. With one button, you can increase your privacy before having a shower or getting changed. Our décor is a reflection on ourselves and motorised blinds can protect their value and quality. These blinds can protect furniture, floors and art from harsh UV rays that will wash out vibrant colours. Having your blinds automated to close during bright daylight will lengthen the life of your wall paint, flooring and belongings. Most people forget to change the positioning of their blinds with the sun, however, motorised blinds take huma n error out of the equation. The allure of installing motorised roller blinds can be attributed to their simplicity and how fun they are to operate. The novelty of self-operating window coverings doesn’t wear off as your friends and family see them in action for the first time. Press a button to draw the blinds and dim the lights as you set up your own home theatre. These blinds are perfectly fitted to eradicate any escaping light and sound so you can enjoy the feeling of a cinema from the comfort of your own home. In the competitive Brisbane and Gold Coast housing markets, any stylish feature that provides environmental benefits will draw the attention of potential buyers. When you are ready to sell, having motorised blinds can increase the value of your home and end a stressful process sooner. Our online store showcases the highest quality products for your window treatments. If you have any further enquiries about installing motorised blinds in your home or office, don’t hesitate to contact Modern Blinds online or call 07 5606 7661 (Gold Coast) or 07 3290 5777 (Brisbane).